You enjoy wine ... a lot. But sometimes a 3.5-ounce pour seems like a tease, while other times (usually after you've already knocked back a bottle or two) it feels like a commitment. That's where Uva Enoteca, opening on Thursday in Lower Haight, comes in. Here, wine is served by the two-ounce taste or by the quartino (Italian for "quarter liter")—that's 8 ounces to the metrically challenged. Uva isn't just a wine bar; owners Ben Hetzel (Eos) and Boris Nemchenok (Mario Batali's Otto) envisioned it as a place to graze on small plates while you drink. The menu focuses on antipasti like Lardo and Mint Bruschetta and Fried Baby Sardines, which go nicely with a wine list of rare finds like the '03 Unique, a boutique vintage from Italy that has never been available before in California. And unlike most wine bars, there are also cocktails, like the Frizante Miele, a concoction of bitters and honey crafted by Hetzel's wife and star mixer Camber Lay (Epic, Range). 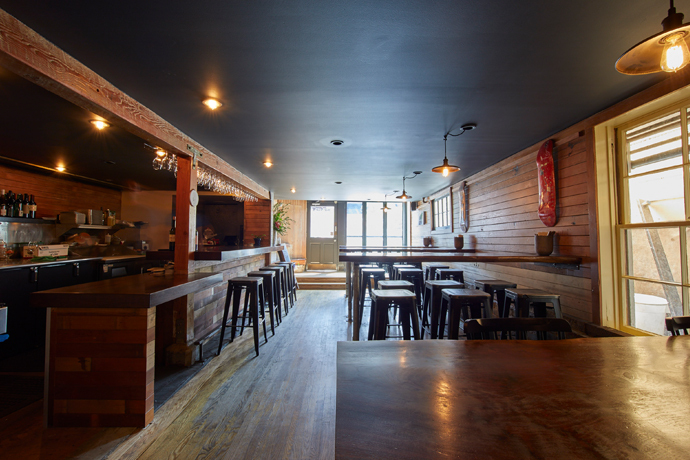 Whether you sit at the 10-seat marble bar or at one of the red-cedar tables, the exposed brick space creates a homey New York vibe, perfect for drinking until the wee hours. Or at least until midnight.